I’ve been digging around on the web lately, looking into do-it-yourself fodder systems. 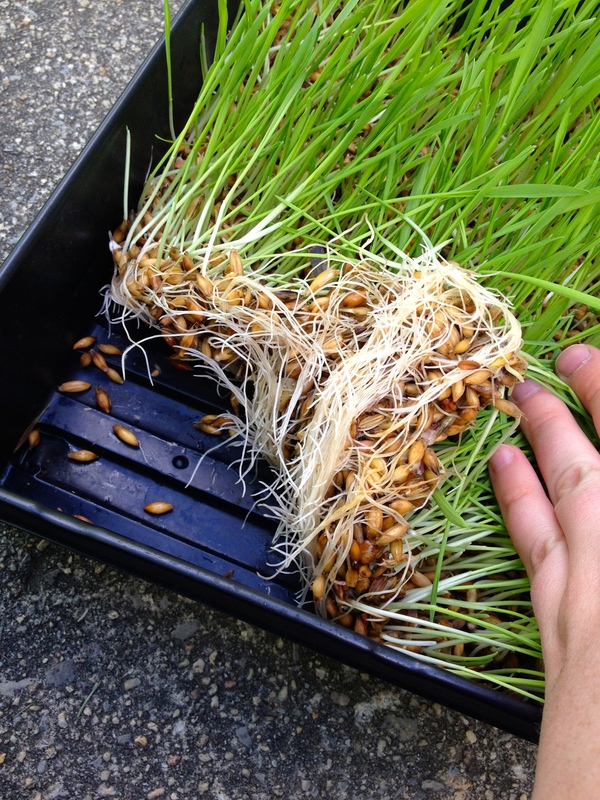 Fodder systems can be pretty expensive, but with a little research you will find tons of information on do-it-yourself systems that can fit the needs of smaller homesteads. 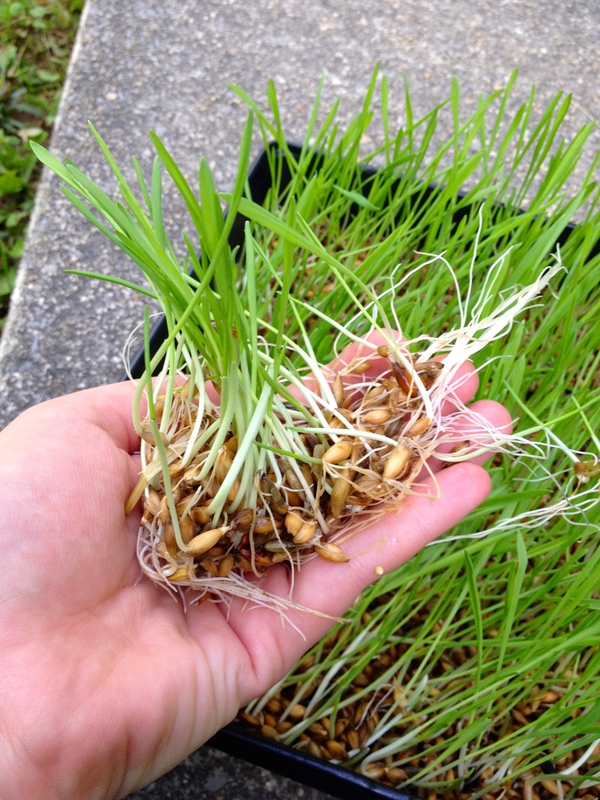 Fodder systems convert grains and seeds into living fodder that can then be feed to animals to improve their food quality and help cut feed costs. Folks use a variety of feed grains but in my research I have found that most people have the best luck with barley. Fodder is so appealing to me as a way to provide fresh mircogreens to our chickens and especially our diary goats, which currently don’t have access to pasture. Providing fodder will enrich their diets and make for healthier goats that product higher quality milk. It also will also allow us to stretch our buck a little further, potentially turning what we pay for 50 pounds of feed barley into 300 pounds of fresh barley fodder. 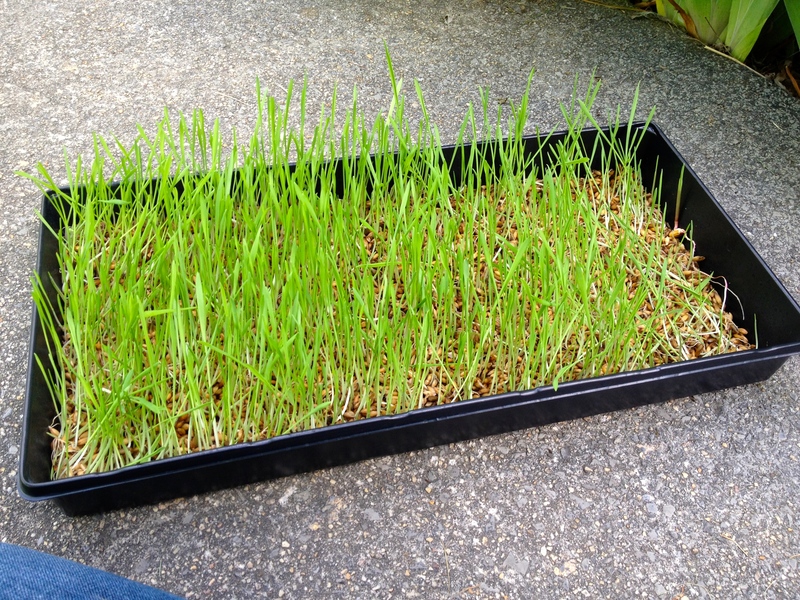 My first attempt at sprouting barley fodder went ok. I was a little disappointed that I didn’t have the super thick grass and root mat that I have seen others rolling up like carpet at the end of day six of seven. Nonetheless, the whole process was pretty neat and both our goats and chickens were pretty fond of the end results. For my first attempt, I decided to go through the whole process with just one tray. I started with one pound of feed grain barley, which I put into bucket to soak overnight (for about 12 hours). The grain we purchased was pretty dusty, so I gave it a rinse prior to soaking. The morning of day one, I strained the barley and gave it another rinse. I then spread it out about a half inch thick into a black plastic seed tray with small holes punched in one end for drainage. For the next six days, I simply rinsed the barley in the morning and in the evening, and sometimes mid-day depending on my schedule to keep the seeds moist. One day seven, the mat was ready to harvest. This week, I’m giving it another try and hoping for a little better result with a thicker mat. I’m also hoping to get some shelving and additional trays set up in the basement, so that I’m harvesting several pounds everyday.